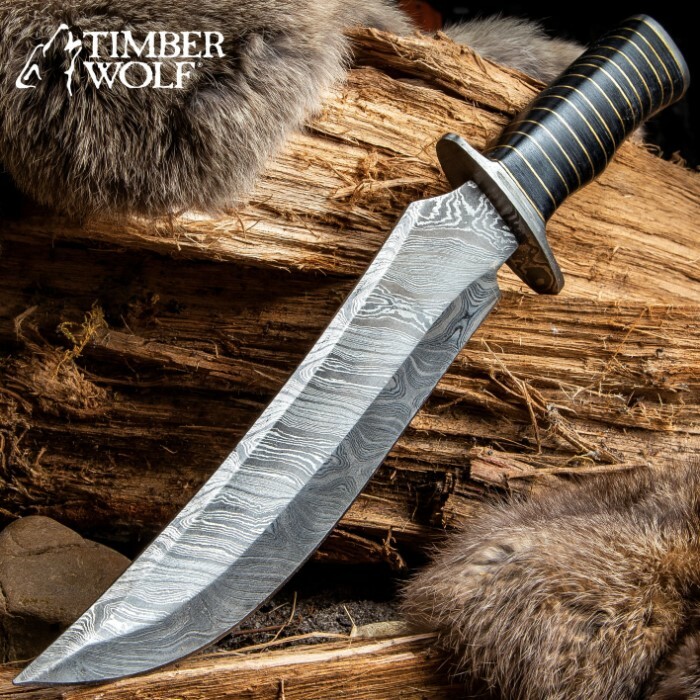 Timber Wolf Nile Warrior Bowie Knife | BUDK.com - Knives & Swords At The Lowest Prices! 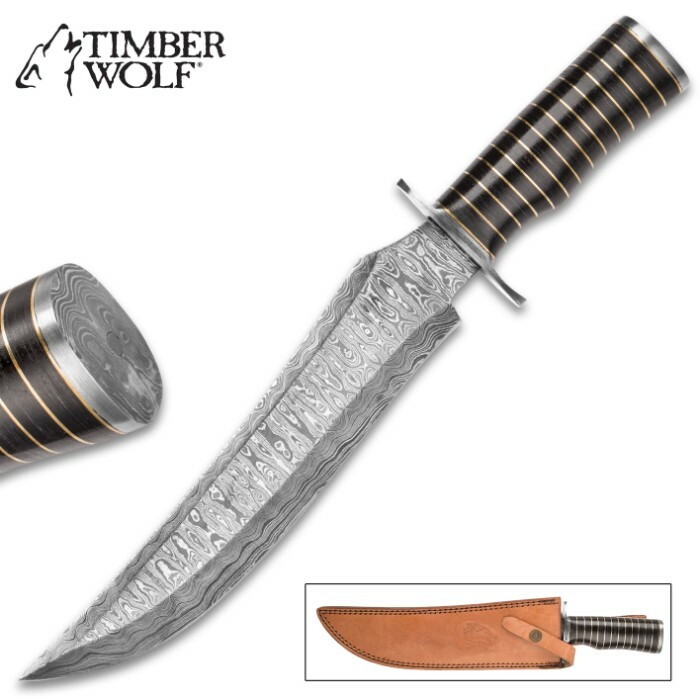 The Timber Wolf Nile Warrior Bowie Knife is absolutely the bowie knife an Egyptian noble would have chosen to carry had it been in existence in ancient days. 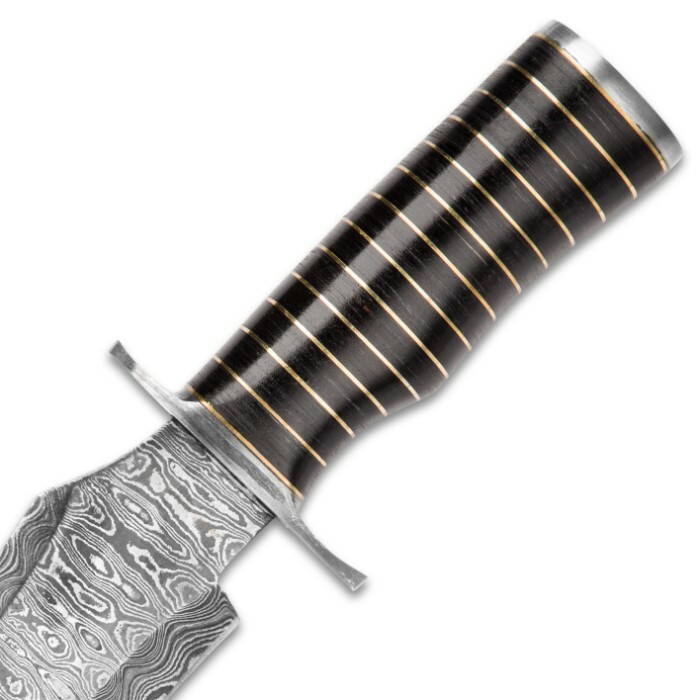 The black wooden handle is set off with brass accents and both pommel and guard are of Damascus steel. 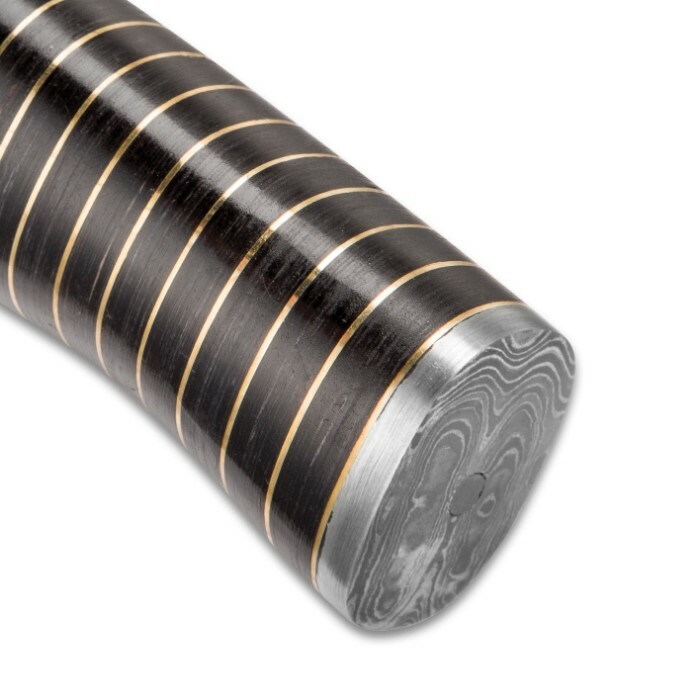 The razor-sharp, beautifully crafted 10” blade is of striking Damascus steel, as well. 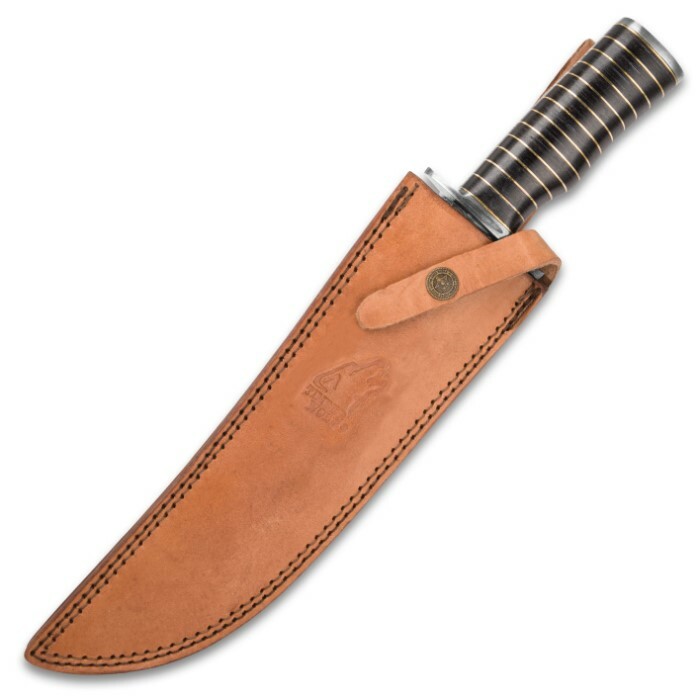 This is a bowie knife fit for a Pharaoh! I was worried in wait as my last order had a bent tip. This knife was perfect. 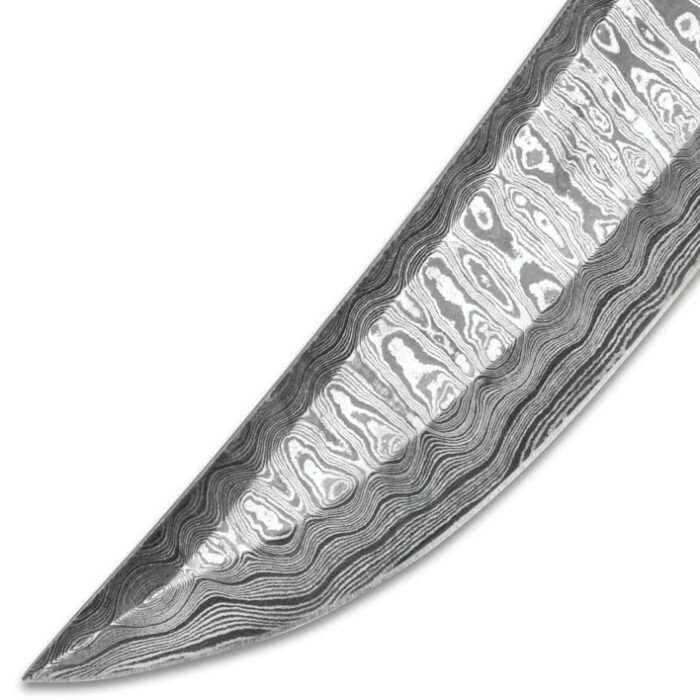 The blade was strait, it was sharp for the most part, Damascus pattern is really nice to look at on this knife. When you hold this in your hand it really feels good. It has a good weight to it but light enough to hold comfortably for hours. Highly recommended. Came in with a warp/curve to the left. Nice looking overall. I wouldn’t buy another one of these unless I could see it in person. Recieved my bowie today. It was a replacement under warranty since the first one came with a broken tip. It was ever so subtle that it was not sharp. Sent it back to Kennesaw and a replacement arrived promptly. Turnaround time was short and the replacement is PERFECT. It is even more solid and with a great Damascus pattern on the blade and figments. Thank you Kennesaw for your great customer service and a fantastic value on a beautiful piece.